Summer…well, it just isn’t summer until you are able to burn a big, ugly 4’ round patch in your lawn. 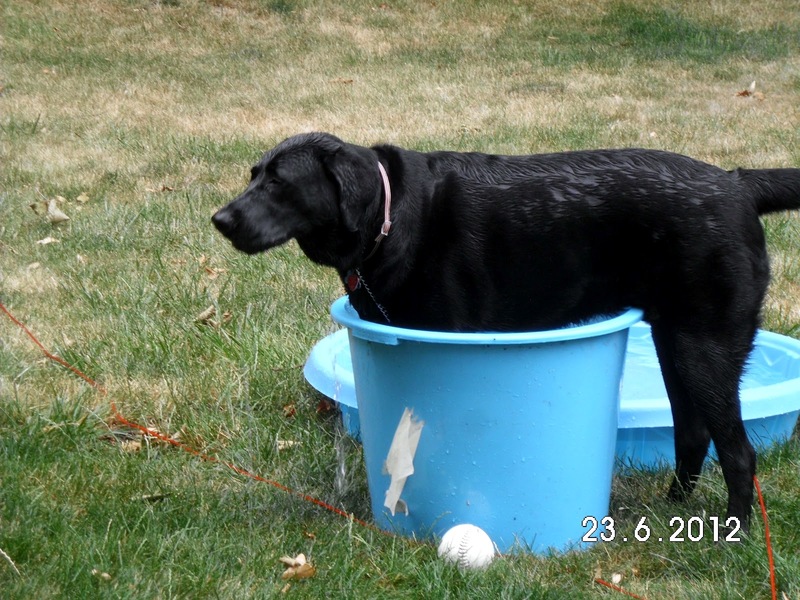 Gee, that’s crazy…kiddie pools are 4′ and round too! What a co-inkey dink! 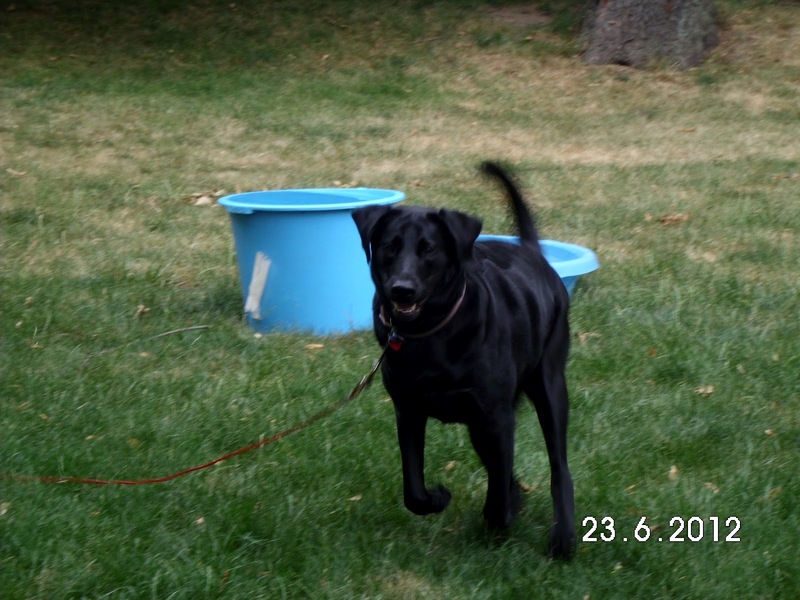 It’s not enough that we had a little blue washtub filled with water for him to romp around in. Cooper would go to the tub and put his two front legs in it and just stand there, dejectedly. Wow, he’d say. No dog should be allowed to have this much fun. It just obviously wasn’t enough. 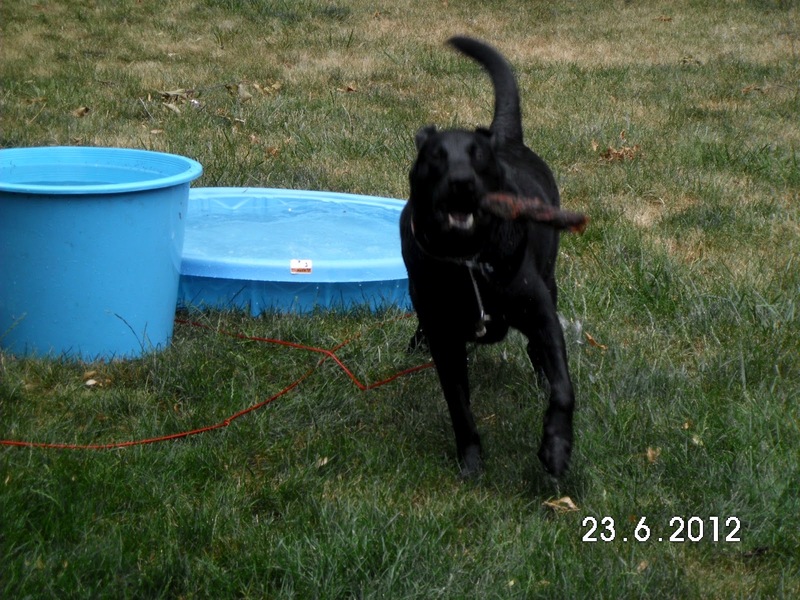 No dog should have this much fun. We got tired of watching him making a fool of himself and we decided together, because all of our important decisions are made together*, that we would get him a kiddie pool. His doggy daddy and I schlepped into Menardsh (cue the tv commercial guy) and found the pool. I tried to find the inflatable rings I saw on sale, (not for Cooper’s pool, silly, but for a future trip up North) but they were sold out. In the future, Menards, maybe order more $2.99 floats. Maybe order more. 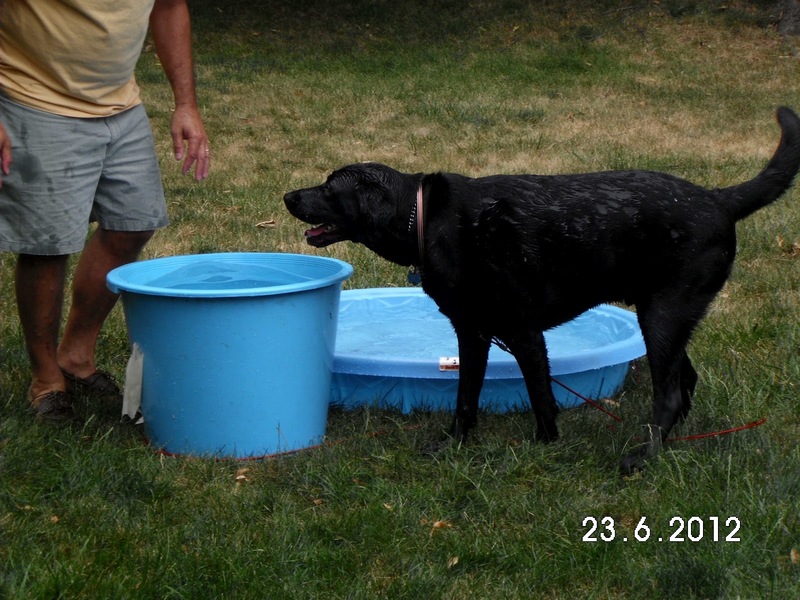 At home, hubby filled up the surprise pool with ice cold water, so that when Cooper finished swimming and came over to shake violently next to us, we could also appreciate the refreshing coldness. We bought him outside and he knew, he just knew, that the pool was just for him. I have a Pool! I have a Pool!!! $6.99 has never been better spent. Oh, he had fun. Buckets of fun. He splashed. He ran. He drank. He splashed some more. Dad! Look at my pool! Water, water everywhere. And yes, I think I”ll drink. Now that is one happy dog. 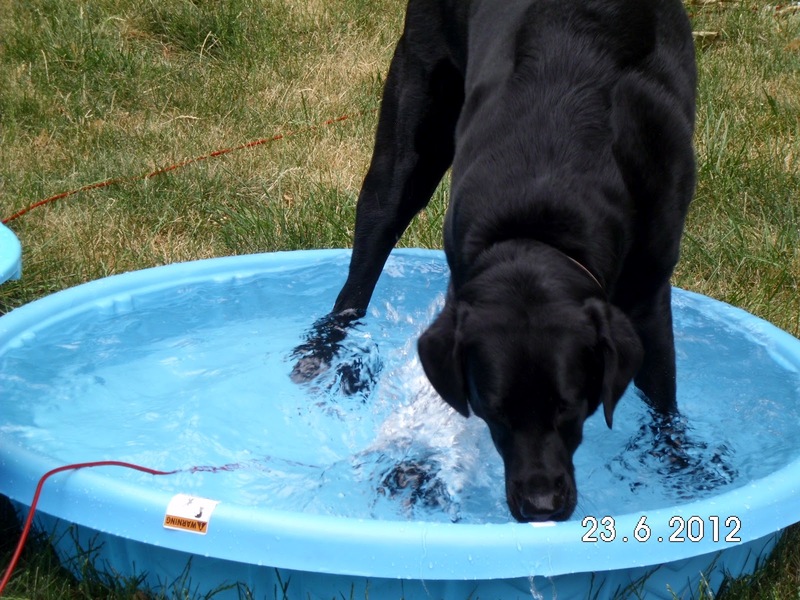 …dreaming of chasing sticks and resting up for another big day playing in his new pool.